As a senior in high school, I was president of the honor society, but I didn’t know what I wanted to “do with my life.” I did know I wanted to go to college — everyone did — and I figured I could figure it all out when I got to the University of Florida campus. This was in 1980. After I arrived in Gainesville, I tried a little of this and a little of that — first computer science, then business, and, finally, when I went with my gifts, journalism. Somehow I managed to cram four years of study into five. While my generous parents were probably wondering about me, it all worked out without too much financial damage. I had a scholarship that covered much of my costs, Mom and Dad provided a lot, and tuition was somewhere around $32 a credit hour, perhaps less. Even with the extra year, I managed to leave with a debt of only $5,000. Once married and in the workforce, we paid it off in a few short years. My wife’s college debt: $3,000. Try pulling that off today. The average college student in 2011 graduated with a debt of $25,250, with 10 percent of borrowers owing more than $54,000. The burden has increased substantially in recent years. 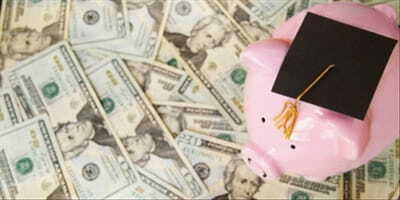 Responding to seemingly endless federal subsidies, according to the College Board, tuition and fees at public four-year schools have jumped by 25 percent in just the last three years. Overall, the student debt load nationally is north of $1 trillion (more than the GNPs of all but the 15 largest economies in the world), which of course fuels the heated election-year rhetoric between the president and Congress about rising interest rates on the federal Stafford student loan program (a minor factor in student debt loads). Advocates — and there are many — will say that enhanced future earnings prospects for grads more than justify the added expense of a college education. And while that remains true if you get into a lucrative field, it isn’t true across the board. Michael Bledsoe graduated in 2010 with a degree in creative writing, and employers haven’t exactly been pounding on his door. While he still sends out resumes, for the last two years Bledsoe has been a barista at a coffeehouse in Seattle. “I don't even know what I'm looking for,” he tells the Huffington Post. Bledsoe is not alone. Median wages for those with degrees in science, education and health fields, arts and humanities have actually dropped from the year 2000. Worse, 53.6 percent of graduates under the age of 25 are currently unemployed or, like him, underemployed — not to mention the fact that nearly 85 percent of new college grads are forced to move back in with their folks. A college education is neither the good deal nor the sure bet that it used to be, and people are starting to notice. Mark Cuban, the mercurial but shrewd owner of the Dallas Mavericks professional basketball team, is warning of a “coming meltdown in college education,” comparing it to the housing bubble. Even an optimist such as Andrew J. Rotherham of Time is forced to admit, “For now, we are most likely in the middle of a higher education bubble.” And we all know what happens when bubbles get too big. But what about Christian higher education? Unfortunately, the trends are even more worrisome. Some schools, facing shrinking student enrollments, have already started to slash tuition rates. They hope to make up the lower rates by attracting more students. Brewton-Parker College in Georgia has cut tuition by 22 percent, to $12,290 annually. Davis College, an evangelical school in New York, has lowered rates by 22 percent also. North Park University in Chicago, meanwhile, cut tuition from $24,650 for students who matriculated in 2005 to $19,900 for students who matriculated in 2010. (Today, tuition is back up to $22,090.) Other Christian schools have simply been forced to close their doors. Some evangelical schools, however, are holding the line. Prestigious Wheaton College in Illinois charges $28,960 for undergraduate tuition (while adding that it gives out $20 million annually in scholarships and grants, which works out to about $6,700 per student). Taylor University in Indiana, another popular evangelical destination, charges $27,850. Neither of these figures accounts for room, board, and other fees — nor for any other grants that students might obtain. The added costs can easily bring the total annual bill to over $36,000, making a Christian education — at these institutions, at least — the province largely of the wealthy and well-connected. Indiana Wesleyan University, a less prestigious but an up-and-coming institution in Marion, estimates annual student costs at just over $32,000. Will the current shakeout turn into an across-the-board meltdown for Christian higher education? That depends on a lot of variables — the economy, the federal and state budget deficits, consumer behavior, and whether new, more cost-effective options become widely available. Certainly schools, even some Christian ones, have limited economic incentive to cut costs as long as federal dollars continue to flow. I wouldn’t be surprised to see big changes ahead. Accordingly, I recommend that hard-pressed Christian parents — and I’m one — use caution and be prepared for anything in the days ahead. Obviously, the less debt we can saddle our kids with, all other things being equal, the better. In the meantime, what is to be done for those of us suffering from tuition sticker shock? At these prices, of course, majors and schools must be chosen with utmost care. Few students have the luxury to make the mistakes I did. • Some organizations will pay off medical school debt if young doctors go to the mission field. Could not some Christian philanthropists and organizations adopt this kind of model on a larger scale? • Perhaps Christian agencies and businesses can recruit, train and hire students out of high school without requiring them to go through four expensive years of college. Is there a role for churches here? A college degree is an indicator of future success, not a guarantee. • Christian colleges could start a rational program of cutting costs now — eyeing multiple layers of administrators, superfluous programs, and ambitious but ultimately unnecessary building plans that don’t directly impact their goal of educating the next generation — before circumstances force them into taking precipitous action. And they could pass on the savings to the rest of us. Skyrocketing costs at our Christian colleges are not just a matter of family economics. If the church is to be salt and light in our dark and decaying society, we need to continue releasing well educated, biblically grounded people into the world. This cannot happen if the current ruinous student debt loads continue. Stan Guthrie, a Christianity Today editor at large, is author of All That Jesus Asks: How His Questions Can Teach and Transform Us, Missions in the Third Millennium: 21 Key Trends for the 21st Century, and coauthor of The Sacrament of Evangelism. Stan blogs at stanguthrie.com/blog.